First, children are welcomed with a call to worship and corporate singing led by one of our church’s many musicians. Second, children hear God’s Word read aloud by either teachers or other children. Third, there is a small lesson and discussion based on the Bible text read. Forth, children will learn the Lord’s Prayer and pray it aloud together as a class. And finally, the children are prayed for and given a blessing by the leaders. After all of this, there is a time for arts and crafts before being returned to the sanctuary at the end of the Lord’s Supper. Perhaps your children have asked you, or you have wondered yourself, why do we come to church week after week? And why do we do what we do in our worship services? 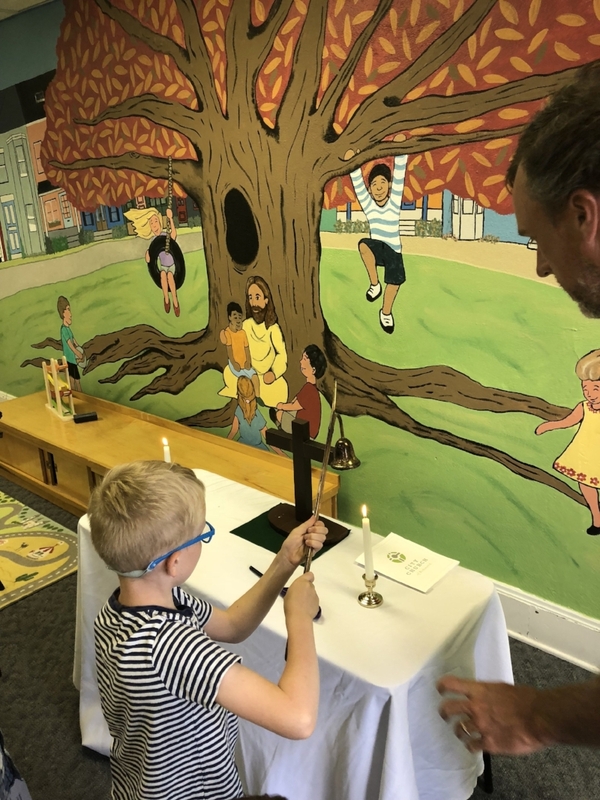 By taking some time this summer to intentionally shape our Children's Worship class after a worship service, we are providing the kids with another opportunity to see how God is at work in both gathering and forming us through various elements of worship. Also, we want children to continue to learn by doing. Learning is not just a transfer of data from one brain to another, but an embodied experience. By switching things up a bit, we give children the opportunity to ask more questions, to peak their curiosity a bit more, and to have them participate even more fully in what God is doing within their hearts. It’s not that this approach is better—or that it is even the new way forward—but rather it is different. And different is good when it comes to teaching children. Though the format has changed a bit, the content of the gospel of Jesus Christ will remain the same and our leaders will strive to always show children the love of Jesus. It is our hope that by offering a different context for children to experience a call to worship, singing, Scripture reading, and prayer that we would magnify and further clarify those elements of our corporate worship service for our little ones—and that they would participate even more in our gathered worship as the Body of Christ. If you’d like to learn more, please reach out to Jim (jim@citychurchrva.com)or check out our curriculum here.